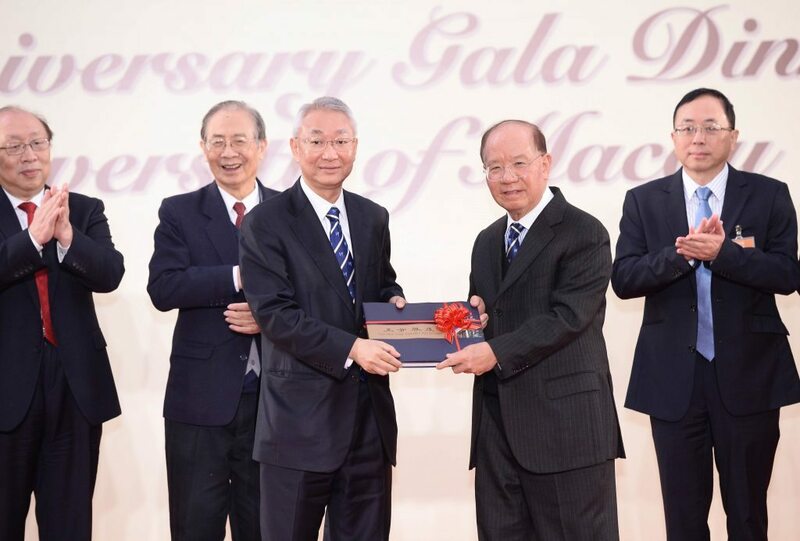 The University of Macau (UM) held a gala dinner to celebrate its 35th anniversary on 3 December. It is the first time the university has celebrated its anniversary on the new campus. The event was attended by government officials, prominent community members, as well as UM faculty, staff, alumni and students. 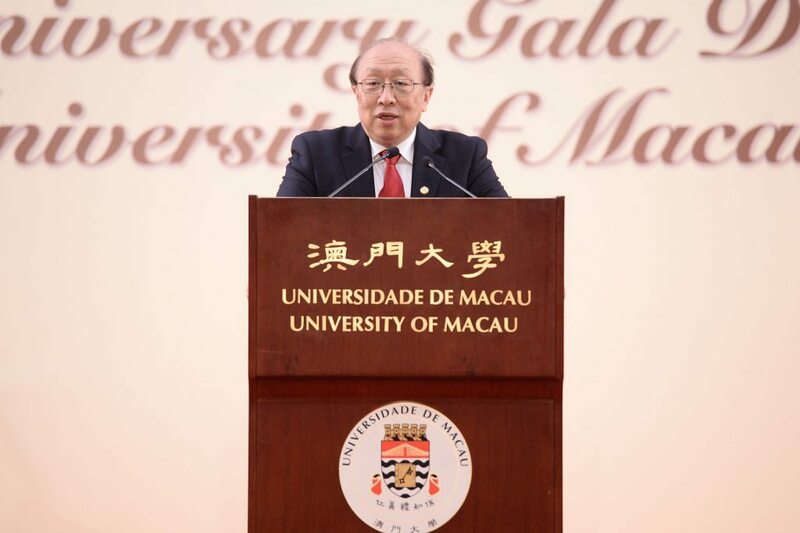 In the future, UM will continue to serve students from Macao, China, and the rest of the world, promote the innovation of pedagogical model, enhance its research capabilities, and produce more outstanding graduates for society. 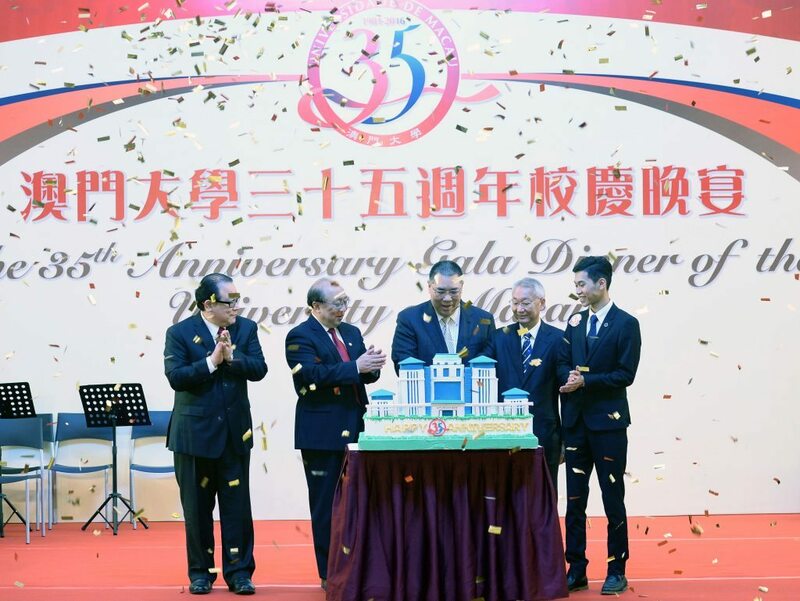 Chief Executive and UM Chancellor Chui Sai On, University Council Chair Lam Kam Seng, Rector Wei Zhao, UM Alumni Association General Assembly President Ao Peng Kong, and UM Students’ Union General Assembly President Wong Soi Kei officiated at the cake-cutting ceremony. Guests attending the dinner included Xue Xiaofeng, deputy director of the Liaison Office of the Central People’s Government in the Macao SAR; Pan Yundong, deputy commissioner of the Ministry of Foreign Affairs of the People’s Republic of China in the Macao SAR; government officials; members of the University Assembly and University Council; donors and scholarship sponsors; heads and representatives of local higher education institutions and secondary schools; representatives of media organisations and community groups; and UM alumni, faculty, staff, and students. Lam Kam Seng said in his speech that guided by the university motto, ‘humanity, integrity, propriety, wisdom, and sincerity’, UM members have worked hard over the past 35 years to develop the university into an influential institution in Asia, with its alumni working in various industries as productive members of society. He noted that in recent years, UM has made significant progress in teaching, research, community service, and internationalisation. The new model of education helps increase the quality and competitiveness of the students. 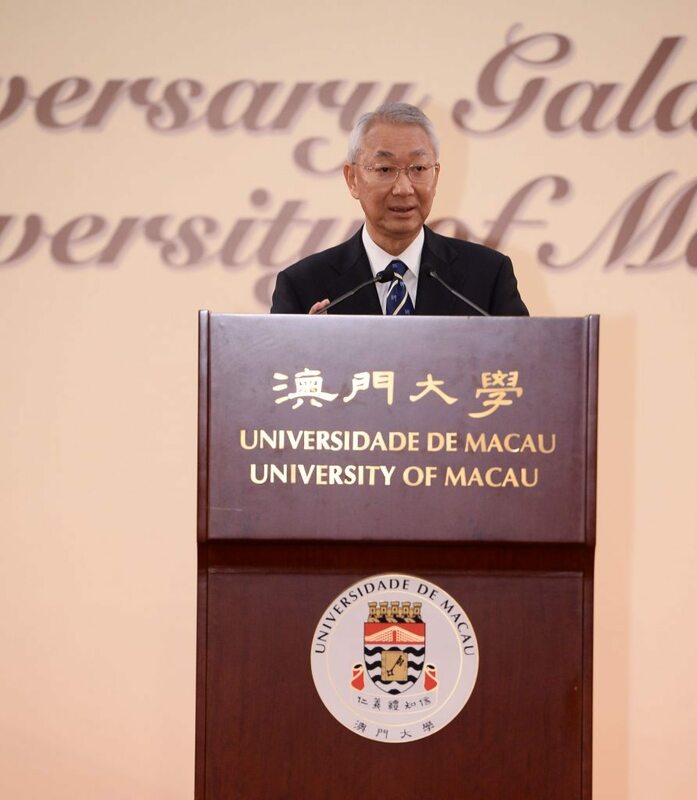 In the future, UM will continue to produce graduates who possess both expertise and integrity in order to make new contributions to the sustainable development of Macao. Rector Wei Zhao said in his speech that with great buildings and great professors, now is the time to rethink the purpose the higher education. ‘The best thing a university education can do for the students is to shape their character, help them better understand themselves, and cultivate hunger for knowledge and a spirit of risk-taking,’ he said. ‘UM implements a ‘4-in-1’ model of education that consists of discipline-specific education, general education, research and internship education, and community and peer education, with the aim of exerting positive influence on the students’ academic pursuits and character development. Our innovative education model helps the students to possess extensive knowledge (great knowledge) on the one hand, and a noble mind and elegant behaviour (great character) on the other.’ He thanked all the former and current university chancellors, University Council members, and rectors for their wise leadership and significant contributions during the different phases of development of the university, which has helped the university grow into what it is today. UC member Huen Wing Ming prepared a copy of The Past That Inspires the Future, a commemorative photo book that recounts the university’s history and its relocation to the new campus, for every guest. To involve the local community in the celebration of the joyous occasion, and to create a vibrant academic atmosphere in Macao, UM has organised many large-scale academic events throughout the year, during which top scholars, both at home and abroad, were invited to hold academic conversations with UM faculty and students, local scholars, and Macao residents.